James “Buster” Keyton, 81, of Olathe, passed away on December 25, 2018. He was born May 9, 1937 to Earl and Mary (Walker) Keyton in Festus, MO. 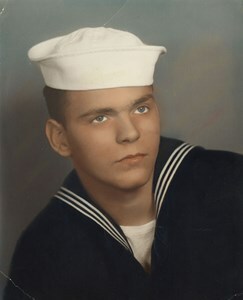 James graduated from Festus High School in 1956, and enlisted in the U.S. Navy. He married Patricia “Diane” Hartman in 1961. He was employed as an Air Traffic Controller for 25 years, and enjoyed mechanical work on cars and lawn mowers, fishing and computers. Surviving family include his wife, Patricia “Diane” Keyton; children, Tracey (Gary) Flack, Sean (Nancy) Keyton; grandchildren, Tyler Keyton, Jacque Cardona, and Nicki Bronis; great grandchildren, Aurora, Hayley, Addyson, Braylan, Julian, Logan, and Aviana. He was preceded in death by his parents, two brothers and one sister. The family will receive guests for a visitation on Saturday, January 5, from 10:00-11:30 with a memorial service to begin at 11:30 at Penwell-Gabel Funeral Home, Olathe, KS. Private interment in Leavenworth National Cemetery. In lieu of flowers, memorials are suggested to St. Jude Children’s Research Hospital, PO Box 1893, Memphis, TN 38101-9950. To leave a special message for his family or to share a memory of James, please click on the "Share Memories" tab above or scroll down below. Please also sign me up for Penwell-Gabel's email newsletter. Add your memories to the guest book of James Keyton. I was saddened to hear the news about Jim and will keep you, Sean and Tracy in my thoughts and prayers during this time. I am traveling and will not be able to be present Saturday. Please know that should you need anything at all, Jeff, Doug, Sherry or I are always here for you. I can only hope that he, Mom, Dad and Debbie are looking over us. As mom would say, love ya bunches Aunt Di!